Edinburgh is central to so many iconic Scottish events, institutions and traditions it’s easy to see why it’s such a popular destination for tourists and why so many people choose to live and work in the city. It’s the capital of Scotland, home to the modern Scottish Parliament at Holyrood and it’s perhaps even more famous for its Tattoo, festivals (the comedy Fringe Festival and arts International Festival) and prestigious golf courses. If you want to live in Edinburgh, you can choose from ‘Old Town’ properties that are pre-18th century Gothic wonders or ‘New Town’ Georgian beauties, or opt for modern housing that is in plentiful supply around the outskirts of the city. If you’re lucky enough to study in Edinburgh you’ll receive a world-class education and have access to plenty of bars, restaurants and entertainment when you’re not in tutorials. We have three stores around Edinburgh at Leith, Gyle and Fort Kinnaird. We're easy to reach from the city centre and convenient if you’re looking for self storage in Dunfermline, Livingston, Haddington and Dunbar. All of our Edinburgh stores have 24-hour access and security and you can stay for just a week or for as long as you need. We can store your personal, business and student storage in our secure, private storage units that range in size from 10 sq ft to 500 sq ft plus for a single low weekly fee with no hidden fees or penalties. For flexible, accessible self storage in Edinburgh, give us a call at any of our Edinburgh stores direct, book or reserve online (with no deposit) or fill in our contact form and we’ll call you back as soon as possible. Get 50% off self storage for up to 8 weeks. Offer available at all UK Safestore centres. Get a storage quote today and reserve a Edinburgh storage unit for free. We won't ask for a security deposit either. Get 20% off if you need self storage for longer than 12 months. Available at all Edinburgh Safestore centres. Terms apply. One of Europe’s most beautiful cities, Edinburgh, known as Scotland's capital city, is renowned for its heritage, culture and festivals. Regularly voted as one of the most desirable places to live in the world, the city is steeped in history and is the perfect destination for tourists and locals alike. Whether you're living or studying in Edinburgh, here at Safestore, we pride ourselves on offering you storage solutions that suit you. We offer a variety of storage room sizes, from small lockers to large rooms. You can even downsize or upsize your room as your needs change. We have a team of friendly, professional advisers that can help you with any aspect of the storing process. Give us a call today to find out how we can help you. Edinburgh is a huge city rich in history and is with popular with sightseers and locals who enjoy the vibrant and dynamic nightlife. The Summer Edinburgh Festival is held during August and it attracts visitors from all around the world. A popular location for many businesses, whether you need stock storage for your online business or you just need somewhere to store your archives whilst you move offices, you’re sure to find the right solution with us. Available short and long term, our dry and secure storage rooms are yours for however long you need them. If you have any questions or would just like a quote, please don’t hesitate to get in contact. Talk to the team to find out how we can make storing easy for you or get a quote online today. If you need furniture storage in a hurry (e.g. if your house purchase has fallen through and you need to move into temporary accommodation), our units are available quickly; call or book online with no deposit to pay. Store your furniture for just a week, or for as long as you need at a low, weekly cost. Our stores are clean, dry and perfect for furniture storage. We have accessible loading bays and ground floor units available for easy access. Use our store finder to locate the store most convenient for you and then call us or reserve a unit online today. Or you can fill in our online contact form and one of our friendly team will call you to discuss how much space you need or answer any other questions you might have. When would furniture storage help? • If you’ve inherited furniture but have no room at home to accommodate it yet. 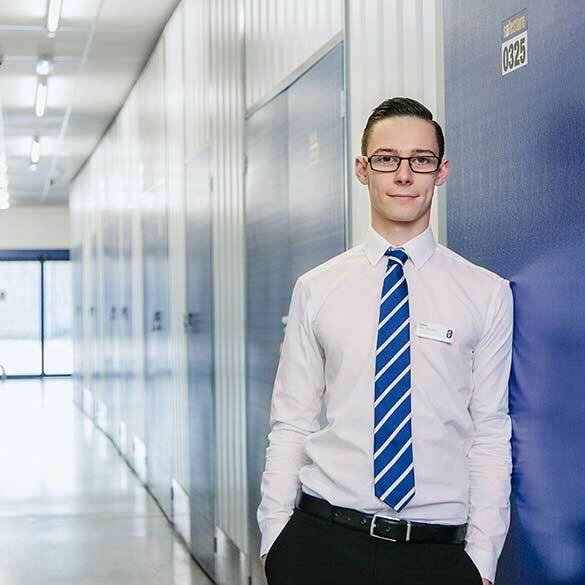 We’re experts in self storage and dedicated to offering the best customer service. Scotland is renowned for being a friendly place and our professional advisors in store and on the phone embody just that. Edinburgh advisors are experts in their field and can help you every step of the way through your storage journey. Safestores, in Edinburgh and beyond, are proud to have been awarded a ‘Gold Trusted Merchant’ award in 2014, 2015 and 2016 by Feefo (an independant customer tracking system for businesses), commending our ability and commitment to making customers happy.